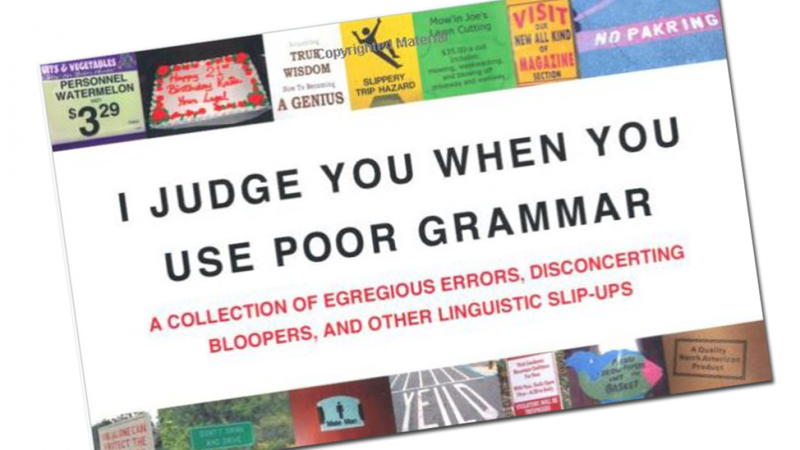 If you like good grammar and a good laugh then you will enjoy this book a lot. This is a collection of signs and more showing hilariously poor grammar. Grammar is very important if you want people to understand what you have written. This is especially true when it comes to signs or other written information. The collection in this book includes signs and funny mistakes found in shops, restaurants and other places around the world. The collection was put together by Sharon Eliza Nichols. 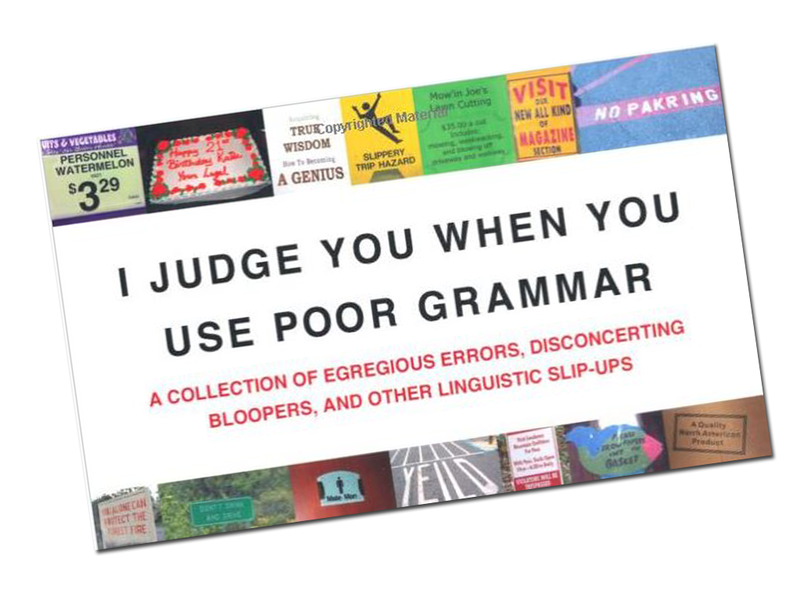 Sharon runs a page on facebook called I Judge You When You Use Poor Grammar. She put together this book using images from the facebook page. The facebook group has more than 350,000 members and over 9000 photos. If you just want to check out the best ones rather than scrolling through 9000 then this book is for you. A great gift idea or coffee table book because it is unique and very funny. Anyone with a sense of humor is sure to love it. Give it just for fun or for a special ocassion. This book is available on kindle or as a paperback. Enjoy it alone or share it with others. If you enjoy this book there is also a second edition available.